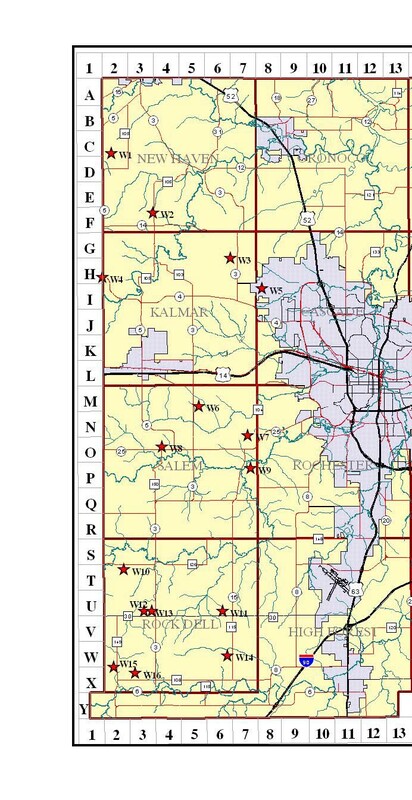 Grid maps are used to provide precise geographic locations for spotters during severe weather operations. A location on the grid map is specified by a alphanumeric and numeric character sequence. 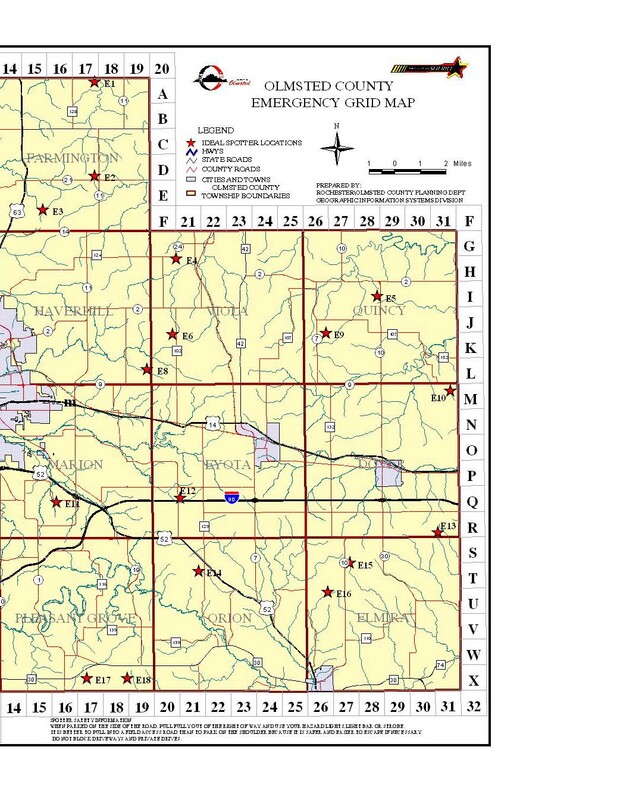 Two grid maps are used: 1) Olmsted County Grid Map, and 2) Southeastern Minnesota Eleven County Grid Map. The maps are provided by the Olmsted County Emergency Operations Center. 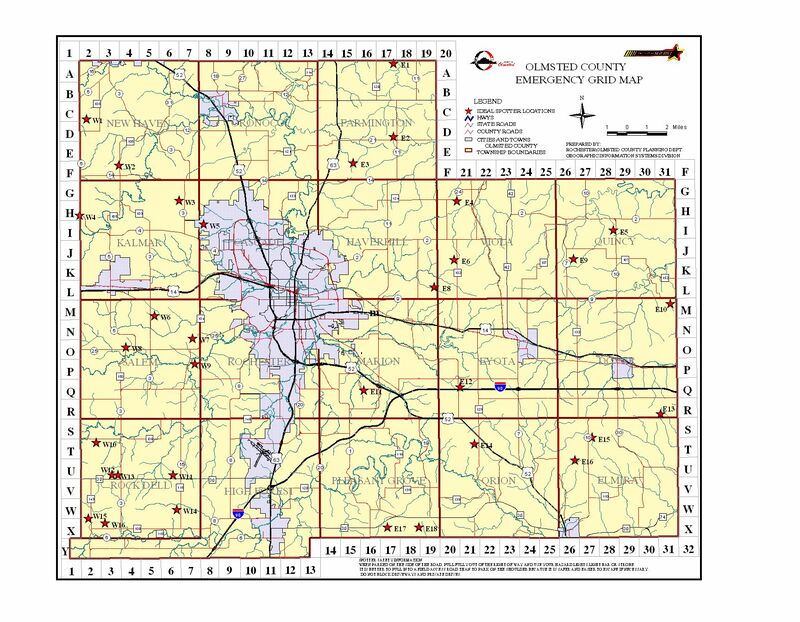 The Olmsted County Grid Map is used to identify the geographic locations of spotters or severe weather within the county. 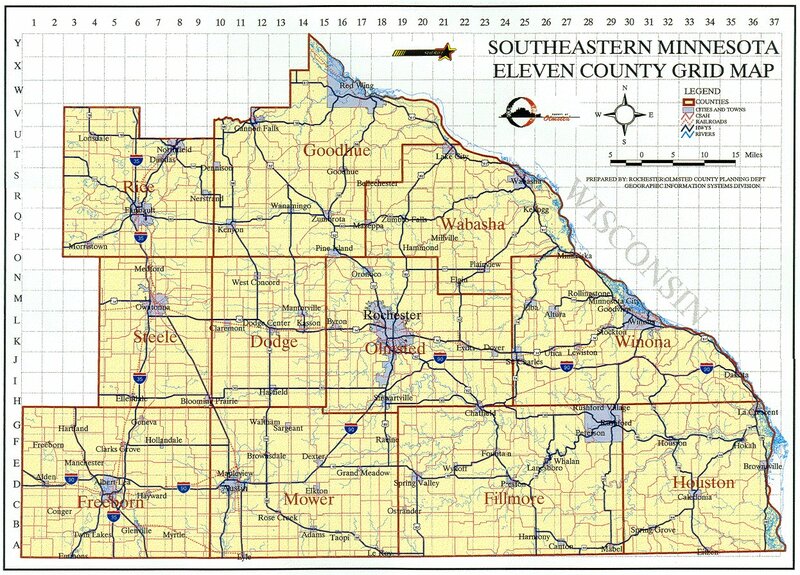 The Eleven County Grid Map is used to identify geographic locations in the southeastern portion of Minnesota. Counties included on the grip map are: Dodge, Fillmore, Freeborn, Goodhue, Houston, Mower, Olmsted, Rice, Steele, Wabasha and Winona.